In our neck of the woods we tend to get our first real snows in January, so it's the perfect time to pull out books that capture the magic of snowfall from a range of perspectives. I find that the richest learning occurs when children are presented with a combination of fact and fiction, helping deepen their naturalist knowledge and understanding of scientific concepts while also providing fodder for creative exploration and thematic dramatic play. These eight great books do just that..
Children love playing "detective," and searching for tracks and other animal signs in the snow seems to be a universally exciting activity for little ones. This book, featured in the Wonderkin Animal Tracks Box, is packed with important factual information, all presented in an interactive and engaging way. 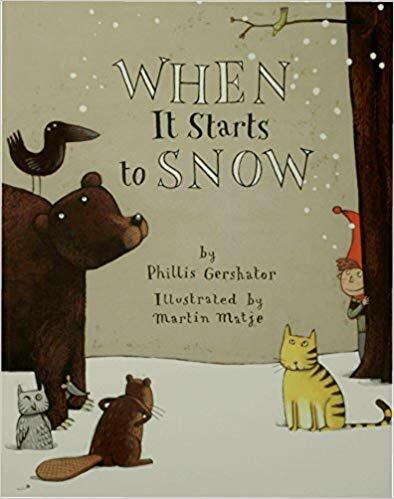 This sweet rhyming text looks at the ways different animals react when snow begins to fall. With a repeating structure that encourages listener participation, this one is perfect for read alouds. Dig in to the science of snow in this accessible but information-packed book. At the end of the text you’ll find two snow science experiments to try out, as well as a list of additional resources for further study. Enjoyed this post? You're in luck! I’ll be sharing monthly round-ups of high-quality picture books to support nature-based early childhood learning all year long. Be sure to sign up for our newsletter to ensure you never miss out on new content.